YOUR DEMOCRACY IN EUROPE: Finally! A BREXIT Solution without a THIRD Referendum! Finally! A BREXIT Solution without a THIRD Referendum! Here is the only real Brexit solution. It requires no further referendum of the British people. It comes with a Warning!! It requires Honesty, plus Humility and Courage! The British people have had two referendums on Europe. They don’t need a third referendum at the moment. They need politicians to listen to them. Politicians need to respect both the people and the law. In 1975 the British people in a referendum giving mandatory instructions to the Government replied with a large majority to say that they wished to stay inside the European Community, comprising the Coal and Steel Community, the Economic Community and the non-proliferation Atomic Energy Community, Euratom. In the meantime the European Community was changed from top to bottom. All without the people’s assent. Democratic principles were written clearly in the treaties. Schuman explained how Europe’s democracy principles should work. Open councils, elections, public control of budgets, all under the rule of law. They were subverted. Politician-pleasing protocols were added. Politicians introduced a corrupted Foreign Policy subservient to the oil cartel, Social Policy, a common currency and monetary union in violation to Community process and without full democratic assent. They bolted the doors of the Council in defiance to the treaty articles that say it should be open to the public just like the Parliament. The secretive political cartel ignored instructions given in 1951 and subsequently that the parliament should be elected on a European scale and not as 28 separate, national elections. On 23 June 2016 the British public replied massively in a second, long-promised but much delayed, referendum. It was an advisory plebiscite. The Government was required to take attentive note of the finely balanced result and act accordingly with circumspection and reflection. The UK government, because of ruptures in the Conservative party, thought otherwise. A noisy, thoughtless and uninformed minority ruled the roost. “A political and economic disaster. Brussels lacks democracy. Let’s get out!” Some democrats! (The Community method helped Germany, France and other States become strong democracies and create a long-lasting peace.) They demanded an extreme solution, out of the Customs Union, out of the Free Trade Area. They included exit from Euratom. That had never been discussed in debates and documents. Neither had these British politicians analyzed how Schuman said European Democracy should work and what was needed to reform its neo-Gaullist errors. Europe’s problem is not trade. It is Democracy! Her Majesty’s Government was led by the nose. It postured like the autocratic Henry VIII. It had no need of clarification. It did not even need a parliamentary vote. That was arrogant overreach. It was humiliated in Court, twice. The advisory nature of the referendum was confirmed in a landmark legal case brought by Gina Miller and others against the government. The judgement of the English High Court was confirmed by the Supreme Court of the UK. This exposed the hypocrisy of both the UK government and the Brussels cartel. In the UK, party politics trumped national interest. In Brussels, the party cartel exposed its neo-Gaullist hatred of “Anglo-Saxons”. That ditched European law. What a pitiful shame for the Commission which is supposed to be the Honest Broker for Europe! Guardian of the treaties indeed! The people of Europe don’t need arrogant politicians who turn advisory referendums into mandatory ones. They require that representatives should show diligent attention to their needs, and wisdom in their proposed solutions. Neither the UK Government nor the four presidents of the Brussels politburo system showed intelligence or integrity. First the presidents of the European Commission, Parliament, European Council and Council of Ministers showed their ignorance of both European and UK law. In this they were aided by Dr Martin Selmayr, Mr Juncker’s chef de Cabinet. He has now become Europe’s most powerful bureaucrat, the Commission Secretary General. They acted with lightning speed after the referendum results were broadcast. They hardly waited for the ink to dry on the UK ballot papers. Early in the morning after the 23 June referendum, the EU ‘presidents’ issued a Joint Statement. Listen to its tone. When someone says you must do something rapidly however painful it may be, you should expect there is some fraud going on. So it is here. It reveals both a sadistic tendency and above all an attempted cover up. The legal basis of Article 50 is as slippery as a snake in the grass. It is a scam. Corruption is afoot, big time! Stop any talk of democracy! Secondly there is the issue of the British Constitution and dare I say it– Common Sense. Did Prime Minister Cameron reflect enough before he resigned at 10 am on 24 June, something he said he would not do? No. Did he renegotiate with Brussels based on righting its core democratic deficiencies? An example would be stopping the Politburo enforcing the total exclusion of a Briton from ever becoming the Commission president. No. Did Prime Minister Theresa May reflect enough before she wrote he Article 50 letter? No. Did the Brussels Politburo ask the UK government for thorough legal clarification? No. It took the High Court and Supreme Court to do that. Did they ask the British people to clarify exactly what was the reason for their discontent? No. They knew. The British and most sensible Europeans had for several decades complained about the “democratic deficit” — the non-observance of basic, open democracy in Brussels. Did they ask the umpteen British lawyers inside the Brussels apparatus exactly how they they should configure this result with the British Constitution, Magna Carta and the Convention of Human Rights? No. That has yet to come. So what should Europeans do? They should respect both the referendums and make the necessary reforms that all democrats would agree on. Let’s get back to basics. Democracies are as Schuman affirmed in Lincoln’s definition “the rule of the people by the people for the people.” That rule can be direct by a referendum or representative via parliamentary members acting honestly for them. Democracies are also ruled by natural justice (not arbitrary justice as in Communist and Fascist systems). A Community of 28 democracies must follow the same rules of democracy that it imposes on the nation. So, if one member wants to change the rules about Customs Union or Free Trade, then all the members must agree by the internal rules. The stark truth is Brussels has failed to do that. 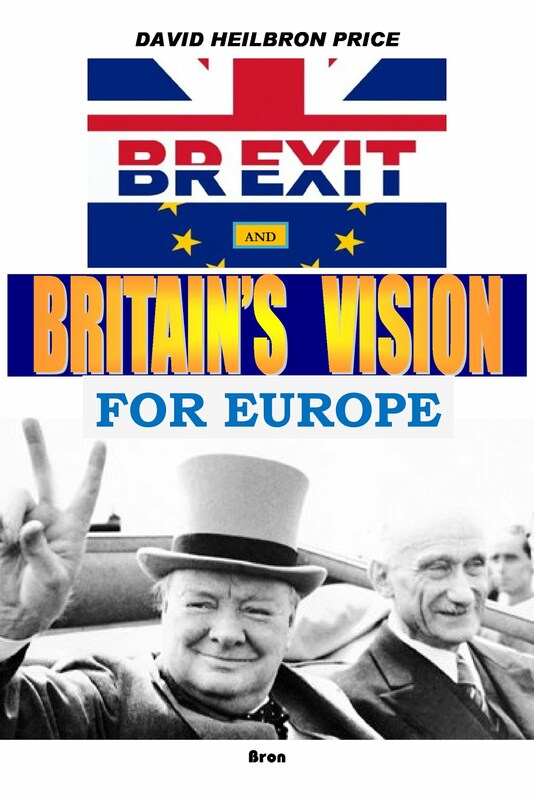 The Democratic Deficit involves the jiggery-pokery and fraud about the new structures called “the European Union” from Maastricht up to and including the Lisbon treaties. A democratic Community must have assent of all. The Lisbon Treaty (then called the Constitutional treaty) was roundly rejected by referendums in France (where a referendum is defined as the highest instance of democracy) and in the Netherlands. Britain was promised referendums for all these treaties and it was refused by the unrepresentative representatives in parliament. So the least we can say is that for the British — and every other democrat — a treaty imposed against the people is not legitimate. It violates elementary Human Rights. So does Article 50 which is part of it and the democratically rejected Constitutional Treaty. What should be done? If democrats want more democracy they should act for it. They don’t leave the democratic battlefield. All deliberations in the Council of Ministers should be open to the press and public. That what all the treaties say. The Consultative Committees (Economic and Social Committee and Committee of the Regions) should be fully active in legislation and be properly elected by European associations and groupings. Matters of industries, workers and consumers together with regional diversity are their responsibility in the treaties. The European Commission should cease being the monopolistic domain of partisan politics. It should be composed of a jury of totally independent personalities chosen by the public. It should again become the Honest Broker for Europe’s problems and for Europe’s future. It makes no sense for the British to belly-ache about the “lack of democracy and freedom in the European Union.” They are members of the bodies. They should be leading the charge for Schuman’s democracy. All it takes is Courage, Humility and Honesty!